Degenerative or age-related changes in our bodies can lead to compression of the nerves (pressure on the nerves that may cause pain and/or damage). Lumbar spinal stenosis is a gradual narrowing of the space where nerves pass through the spine. 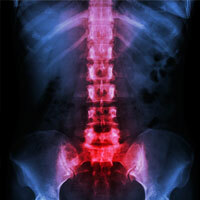 A condition where a curve develops in a previously straight spine. 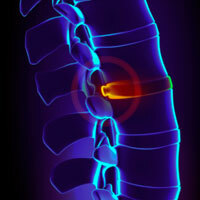 This curvature occurs as a result of deterioration of the disk space and joints in the back of the spine. As the joints degenerate, they create a misalignment in the back, resulting in a bend or curvature. Most people have back and neck at some time in their lives. In most cases, this pain isn't serious and goes away with rest. 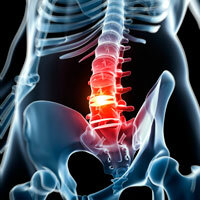 But chronic back and neck pain, which lasts for several weeks or longer, is more likely to need treatment.  A herniated disc occurs when the soft inner core (the nucleus) of the intervertebral disc breaks out through a tear in the outer shell (the annulus), putting pressure on the spinal nerve root in the lower back. 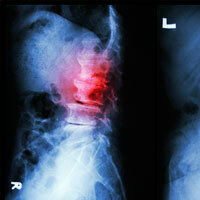 Spondylolisthesis is a condition where one vertebra has slipped forward over another one below it. This misalignment typically occurs as a result of degenerative changes, stress fractures or congenital abnormalities. 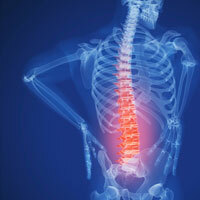 This condition is defined simply as the wear and tear of the intervertebral disk, which may result from normal aging or be due to longstanding trauma. It involves small tears in the annulus of the disk. A ruptured disc is a common condition that happens when one of the intervertebral discs in the spine produces a crack in its hard outer wall, permitting the shock absorbing, jellylike nucleus pulposus to be pushed out. Spondylosis is a gradual wearing down (degeneration) of the spine as a result of wear and tear on the joints, often caused by aging. Over time, the discs become dehydrated and have less water content.